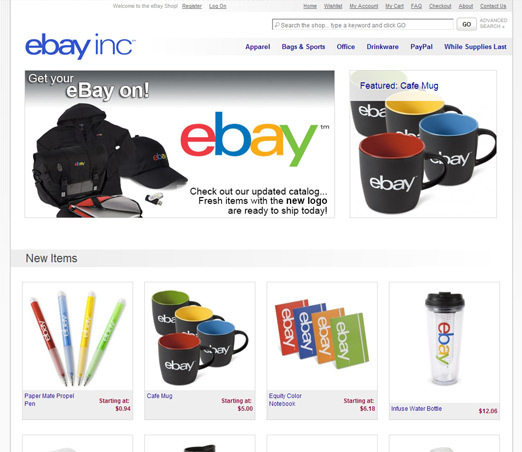 Home » Portfolio » Ebay Inc.
Ebay acquired ProStores in 2005 and Magento in 2011. We originally developed The eBay Shop on ProStores, then redesigned it for Magento after the acquisition. The eBay Shop sells branded merchandise to millions of eBay fans world wide. It also doubles as their employee purchase site. 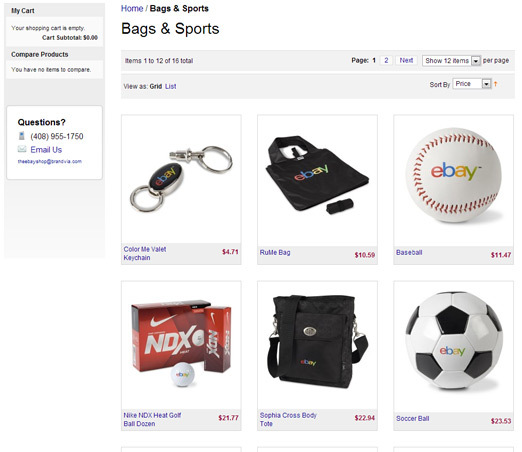 We originally built the site on eBay's ProStores ecommerce solution. 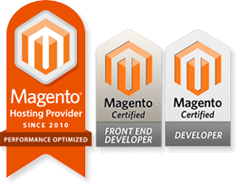 When eBay acquired Magento in 2011, we redesigned the site for Magento Enterprise and added much needed custom functionality to better facilitate internal employee purchases. Also see www.thepaypalshop.com.